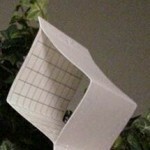 PRODUCT DESCRIPTION: Glue trap which use sexual pheromones to attract and capture ladybugs. The pad has glue on all four inside walls so as ladybugs enter they get stuck and cannot get free. When the trap gets filled you will need to replace it. The glue will last 3 months as will the pheromones when used inside the home; 1-2 months when used outside. It is important to understand that ladybugs trapped in the glue will die and that you cannot release them once caught. Place one trap in every room which has ladybug activity and you will quickly reduce their numbers. It is also important to understand the pheromones will only work at certain times of the year. When adults first emerge in the late winter months, they are not thinking about reproduction. 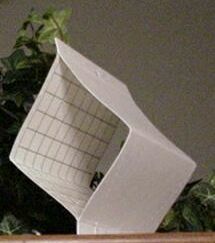 They will fly to windows and other areas where there are lights but will most likely ignore these traps. So for the spring, use our WINDOW TRAPS. WHERE TO USE IT: Inside any room with unwanted ladybug activity spacing them no more than one every 25 feet. These traps can also be used outside to catch them before they get into the house. Space them no more than 25 feet apart. Just received our lady bug trap. There were no instructions on how to use the bait. Where an I find these? The video above shows how to set up the trap. Basically you just need to set out the lure onto the glue trap trying to center it as best as possible. Try not to handle the lure and in general, you only need to take it out of the envelope it comes in. Some lures will be little "pads"; others will be small "capsules" made of plastic. These capsules do not need to be opened. By design they'll release the odor over time once placed out in the open.